Purple, blue, orange, and white orchid blossoms with light blue stems scattered across a light purple background. 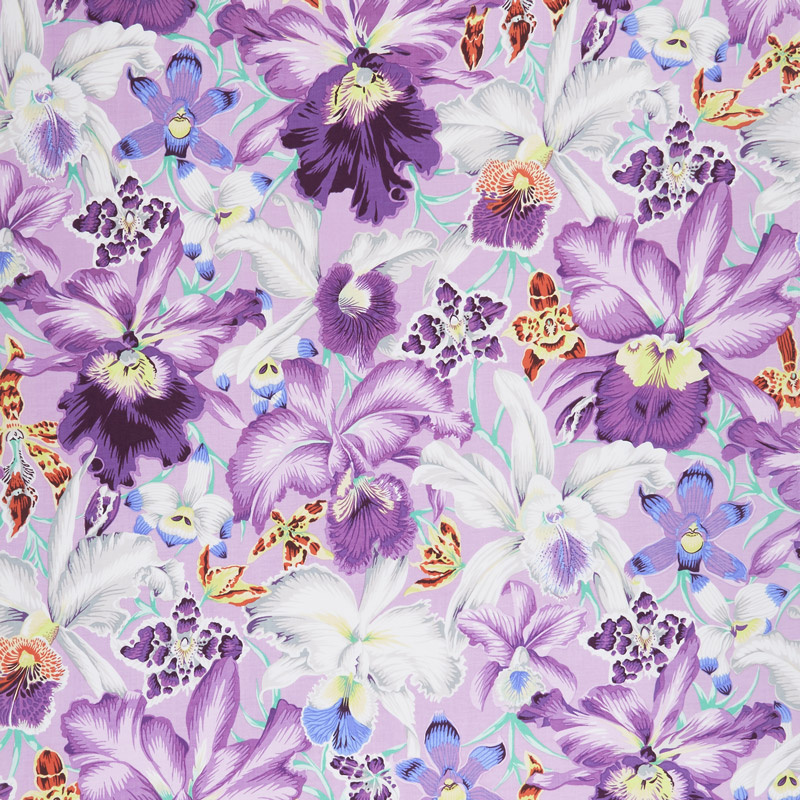 Spring has sprung, and Kaffe Fassett is back again with the flashiest colors of the season! Enjoy brilliant colors, florals, and fantastic patterns all in Kaffe's signature style.